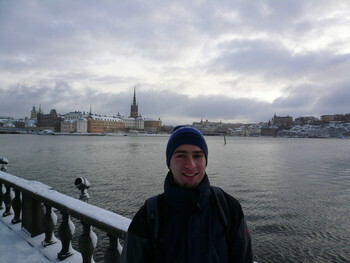 Three weeks ago, we decided to go to Stockholm for a weekend. On Friday 21st we took a plane from Copenhagen to the capital city of Sweden. Because of the snowstorm over Arlanda airport the plane was delayed, but it was not a problem to check in at the hostel. Next morning we got up early and went towards the central station to buy the Stockholm card („free“ public transport and entrance to almost every museum). At 9 o'clock we were almost the only people in the streets, because it was snowing very heavily. After buying the card, our tour could start . During the next days we visited a lot of museums, the Royal palace and the city hall. I also experienced a very improbable/im­possible meeting (again ). My friends Pavel and Juli (Erasmus students in Finland) just happen to be in the city at the same time. We talked over the phone and arranged a meeting at the Royal palace after changing guards event. But we bumped to each other in the streets before that. Yes, Europe is very small. The whole trip was really amazing, except the way back. We came to the airport just before 4 o'clock in the afternoon just to know, that our flight was cancelled and the new one flew at 20.15. So we waited and waited. In the end, the flight was delayed for another 45 minutes. The train from Copenhagen was delayed too, so we were back in Odense at 2 o'clock in the morning instead of 22.30 . 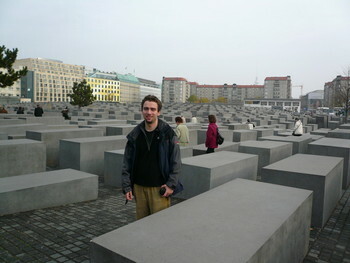 People from the ESN (Erasmus Student Network) organized for us a trip to Berlin, the capital city of Germany. It was quite a large trip, over 130 people attended. On Friday morning (6.45, so maybe it still is night) we sat down into the buses and started our 10 hour journey. Along the way we stopped at the border shop to buy some stuff. The prices were much lower than in Odense, so many people bought a lot of beer and/or other kind of alcohol. After the arrival to Berlin we checked in to the hostel next to the zoo train station. It was a very good spot, because it is situated almost in the centre of the city. Then we went to the city. At first we walked to the Victory Column, then we continued to the Brandenburg Gate. There we split up, everybody was very hungry. Our small group (me, Ignas, Rob and Christian) finally ended in McDonald's at the Alexander Platz (it is really not near, check the map). Our next stop was a near pub. I do not remember its name, but I remember that they were brewing their own beer. It was very good, we drank about 13 litres of it . On the way home we took a train, so it was much more comfortable than walking. To wake up the next morning was very terrible experience, but after breakfast I was more or less all right. On that day we were walking about the city. We saw many interesting places like Potsdamer Platz, Memorial to the Murdered Jews of Europe, Checkpoint Charlie and some other. We also visited the Berlin TV tower. It was really a magnificent view from that, although the weather was a little foggy. Sunday was the day we were supposed to leave. When we arrived to the assembly point, only one bus instead of two was there. Couple minutes passed and we got to know that the second bus was stuck on the ferry and was not coming. So the driver of the other bus made some calls and after a half hour we sat down into the „Berlin City Tour“ bus. Unfortunately, this bus could not cross the Danish border, so we needed to change, but that was just a little detail. I really enjoyed the weekend in Berlin and I am looking forward to similar trips. Saturdays are usually relaxing days after parties on Fridays nights. And this Saturday was not an exception. We decided to plan something non-alcoholic, so the pancake and milk party was the perfect choice. Antanas prepared the dough (special recipe ) and we fried it. 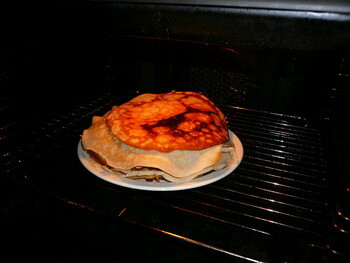 The pancakes were very delicious, everything disappeared in a short while. That is the main reason why you cannot see any photo from the „feeding time“ . After we finished eating, we played the game named Alias). It was very difficult, because everybody was sooo tired. When we finished approximately half of it, we decided that it would be better to go to sleep. It was a really quiet and nice day of doing nothing . After a small pause I am writing posts again . Last week we went to visit the H. C. Andersen's hou­se. The actual house is just a very small part of the large museum. 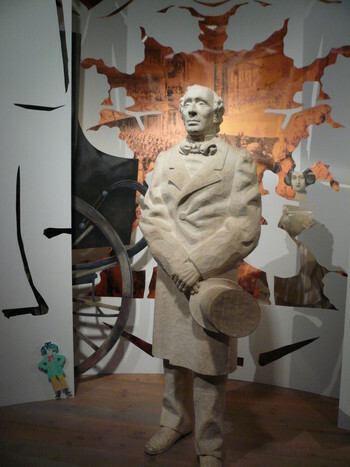 As a visitor you can read and see almost everything about Andersen's life. For me, the excursion was quite boring. Sure, something was interesting, but most of the displayed things were just things of daily use „touched“ by H. C. Andersen.